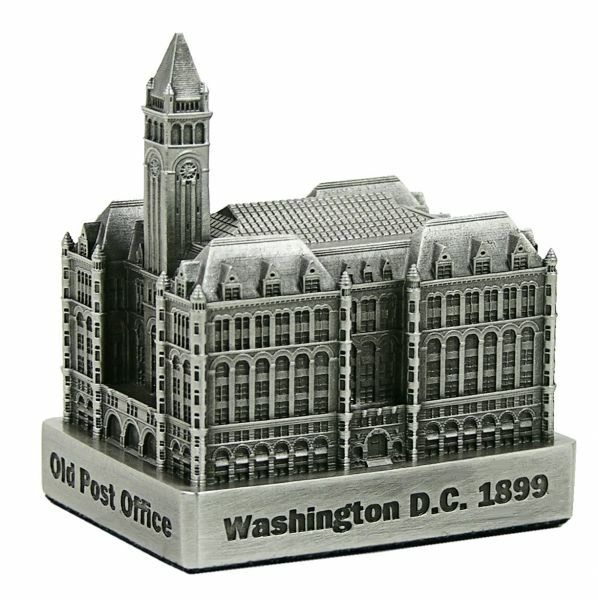 The Old Post Office is located at 1100 Pennsylvania Avenue in Washington D.C. and was completed in 1899. This building was designed by Willoughby James Edbrooke and stands 315 feet tall with 18 floors. This pewter replica stands 2-3/4 inches tall and is finished in antique pewter. This model's scale is 1 inch = 150 feet. For more pics and info check out our blog.